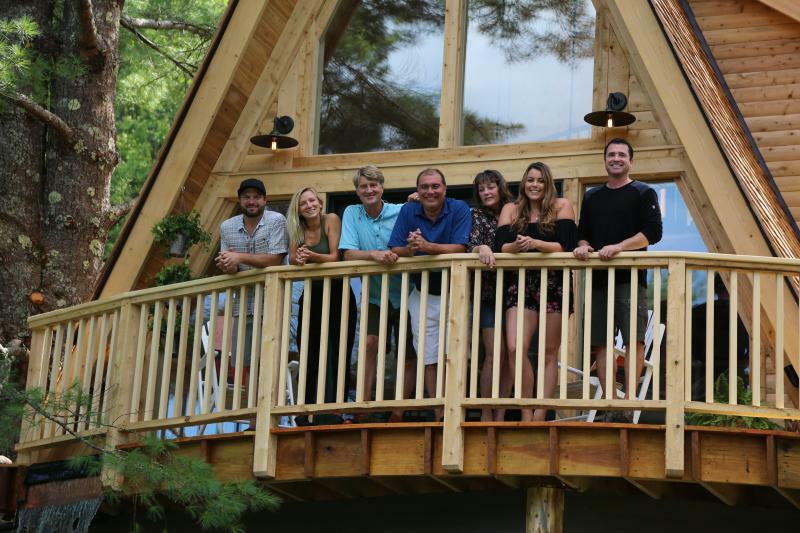 This summer, Peachtree Builders (along with other local Vermont contractors) helped on a treehouse build with the crew from the Animal Planet show Treehouse Masters. Grahame and Dakota had a great time working on this unique project. 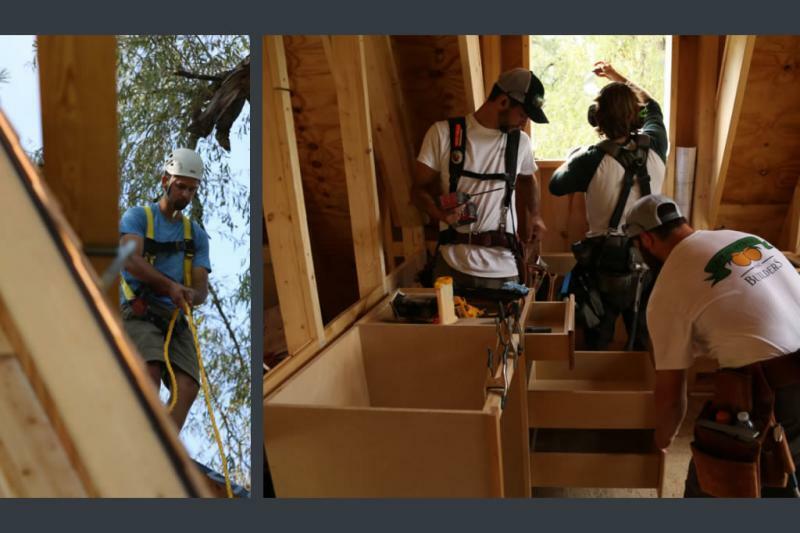 Enjoy these process and finished photos of the treehouse! 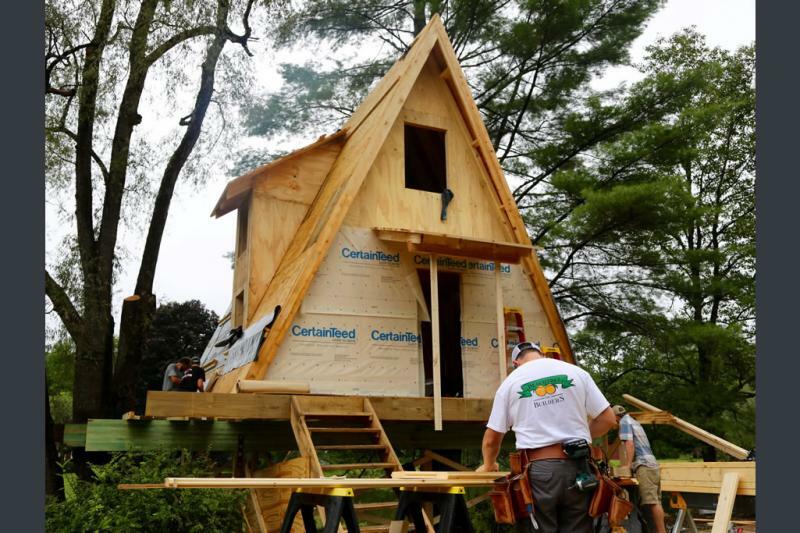 The Treehouse Master episode aired October 12 on Animal Planet. 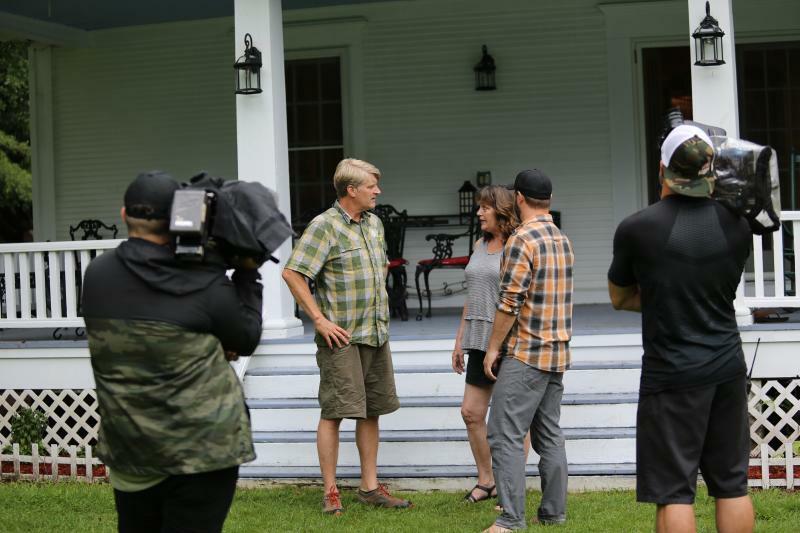 Watch full episode at AnimalPlanet.com. 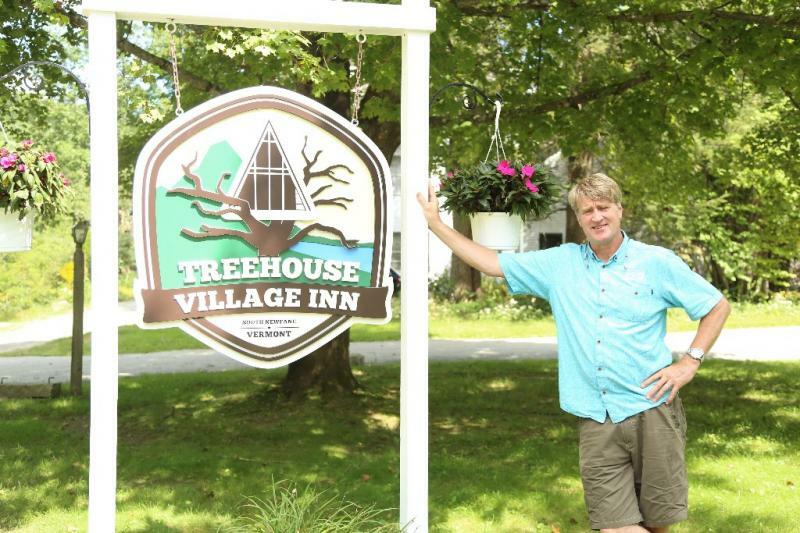 Pete has spread the treehouse bug to a longtime friend and show producer who's hanging up his TV hat to open a treehouse B&B. 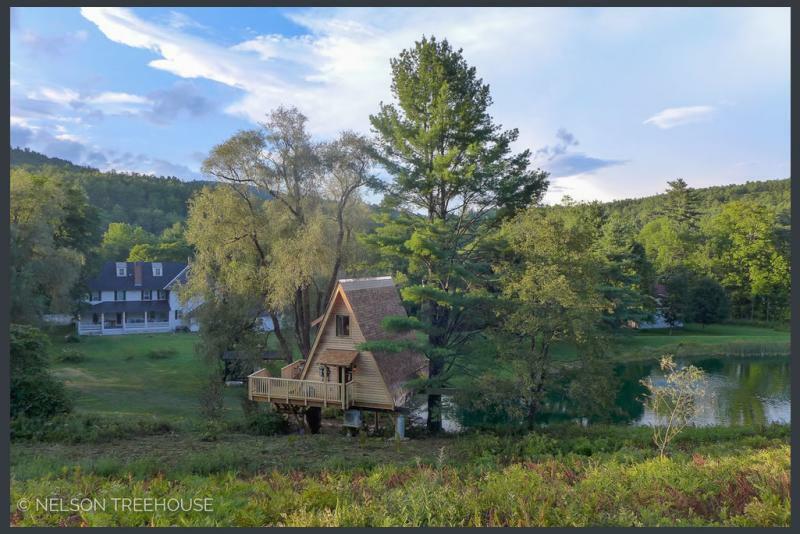 The classic A-frame structure will have all the amenities and a waterfall pouring from a wraparound deck to the pond below. 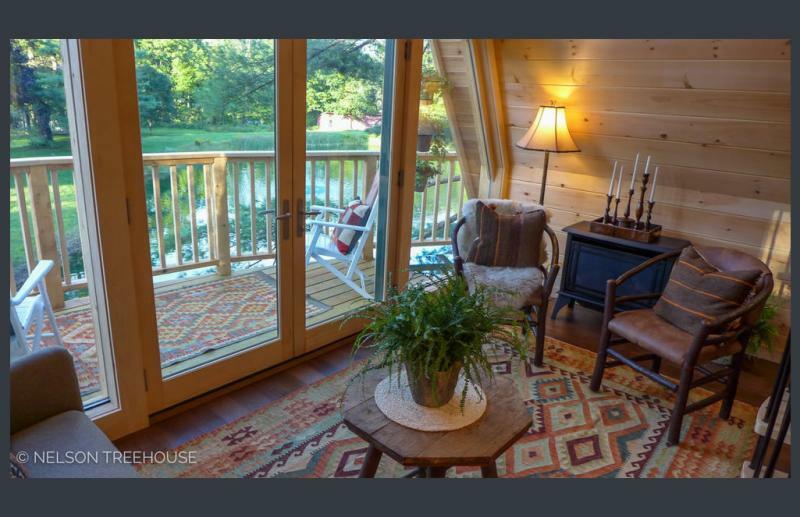 The treehouse is full of special features, including our first-ever treetop waterfall! 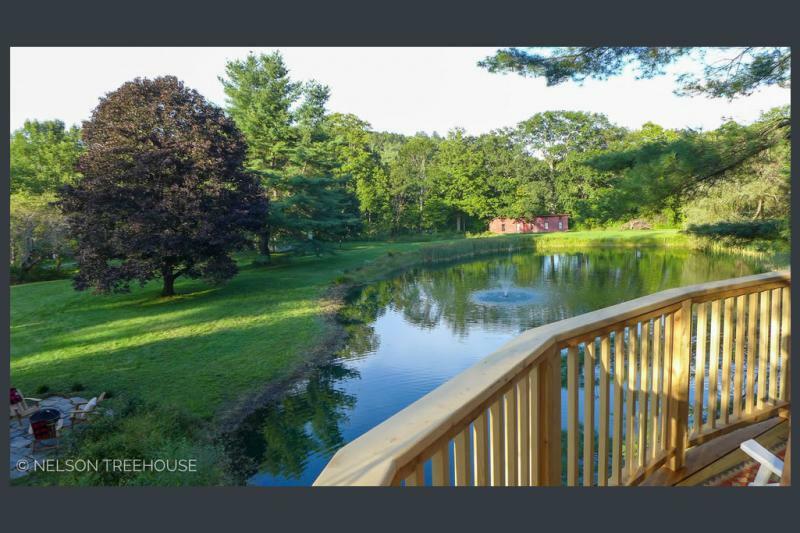 Water flows off the deck into the pond below, tying the treehouse to its surroundings. 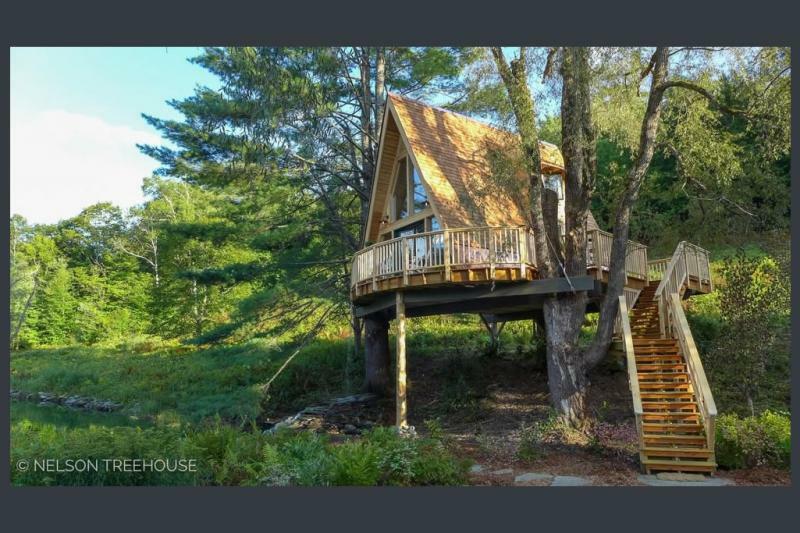 One pine, one willow, and four posts support the treehouse. 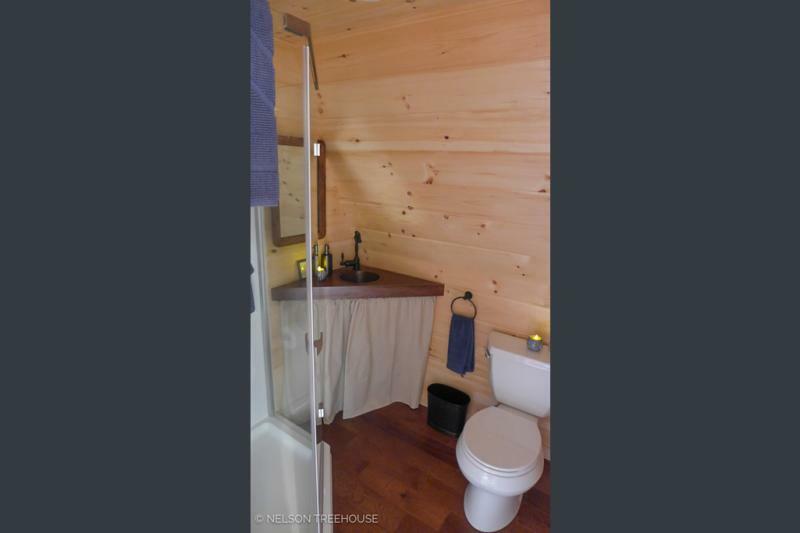 The post at the front is made from a cedar log. 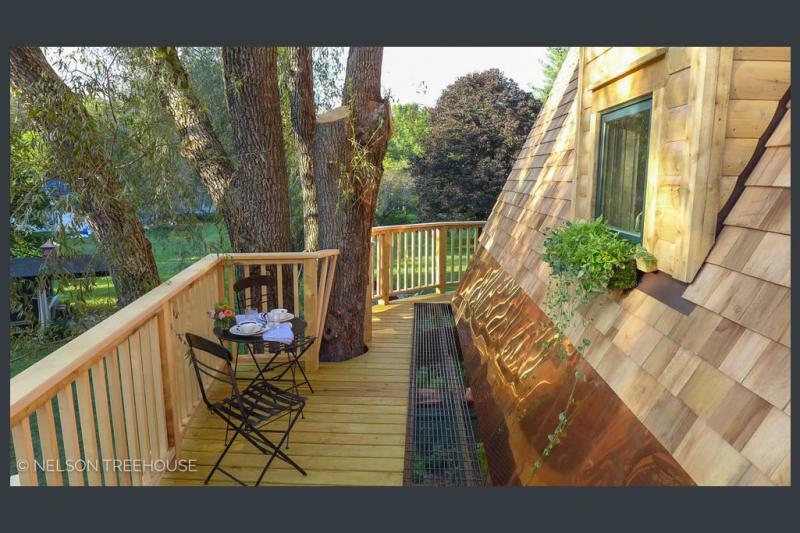 The A-frame design is a nod to the aesthetic of local ski lodges. 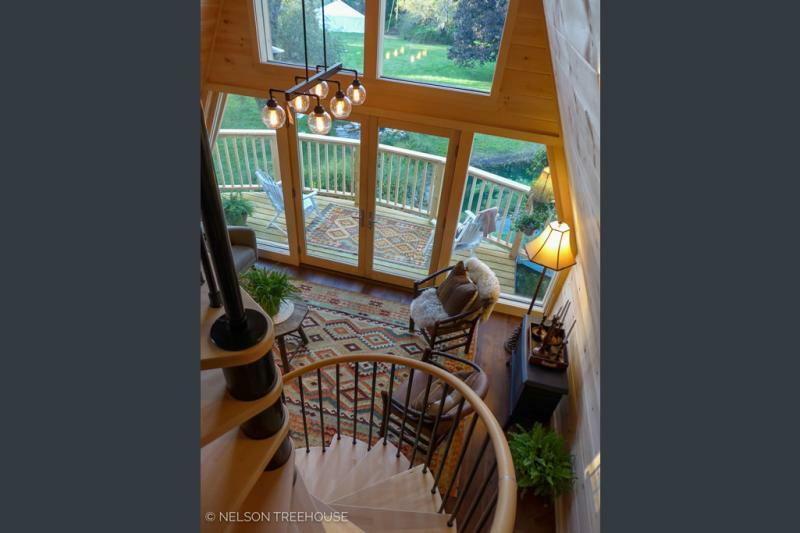 A lighted staircase leads to the deck. The views from the deck are truly spectacular. Imagine what it must look like now, with the trees changing color! 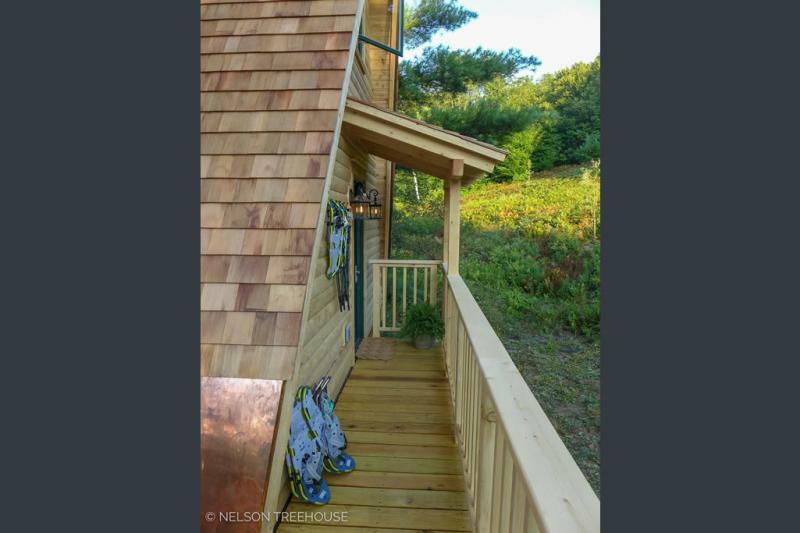 This section of the deck faces west, making it the prime spot for soaking in sunsets. The crew added copper siding and an open grate at the base of the roof—this technique keeps snow moving off the roof and prevents icy buildup. 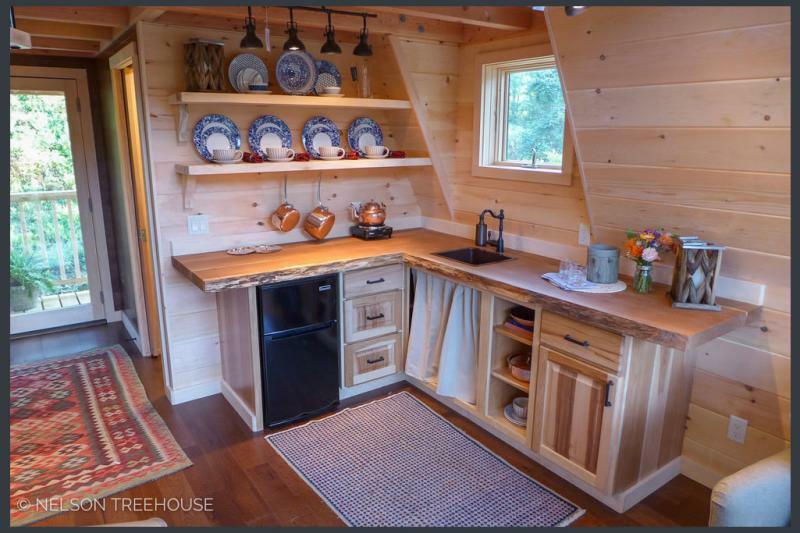 Big thanks to local carpenters from Peachtree Builders for helping us craft this epic roof and A custom live-edge bar top that adds rustic charm to the wet bar. 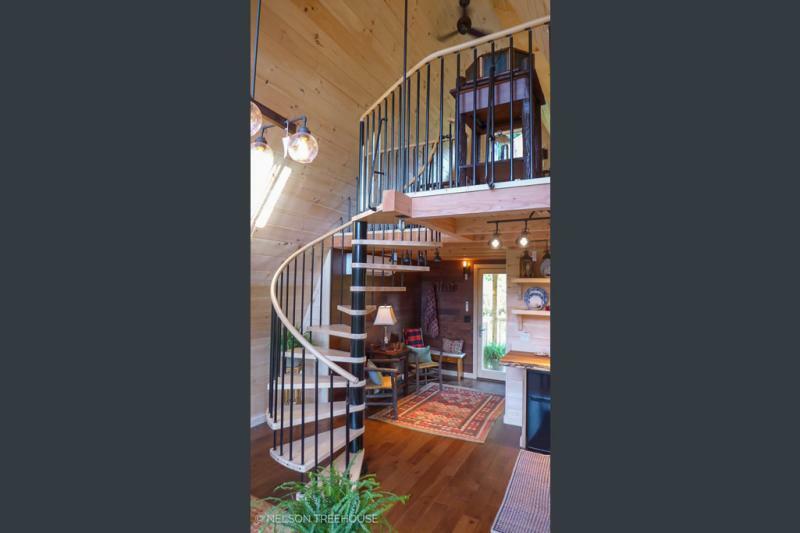 The spiral staircase winds up to the sleeping loft. 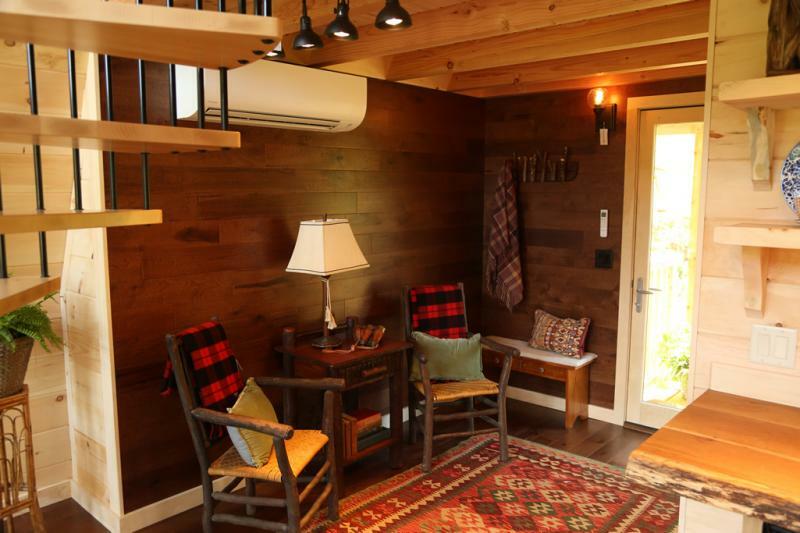 Near the door, the crew used flooring material as wall paneling. This is a simple way to create an accent wall. A soaring wall of windows and glass doors provides spectacular views of the pond. 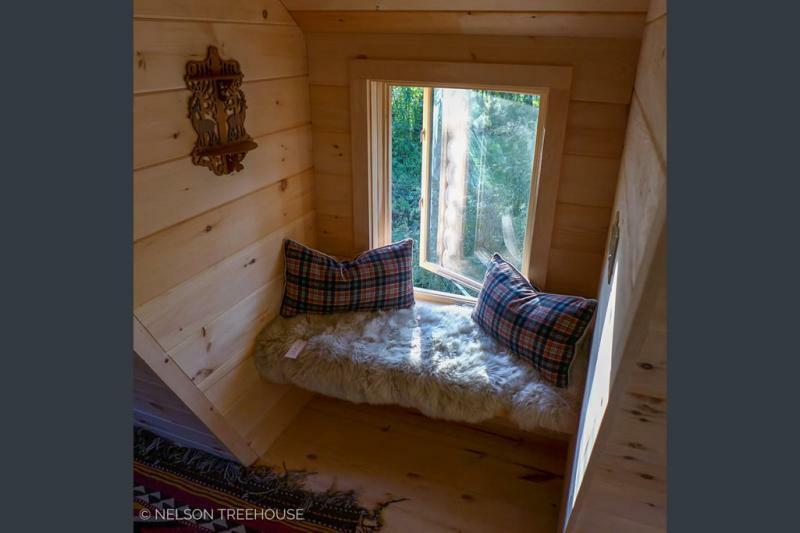 Custom details like this built-in window seat add interest and character. 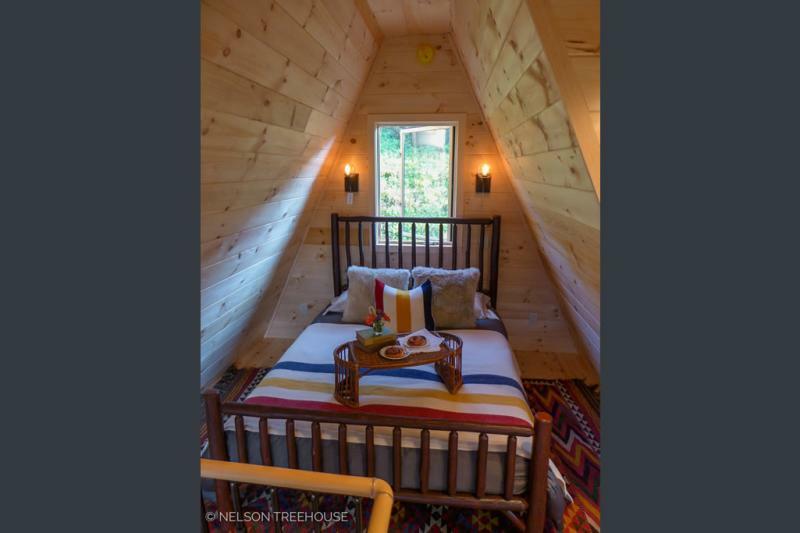 The cozy sleeping loft is framed by the steep roof pitch. 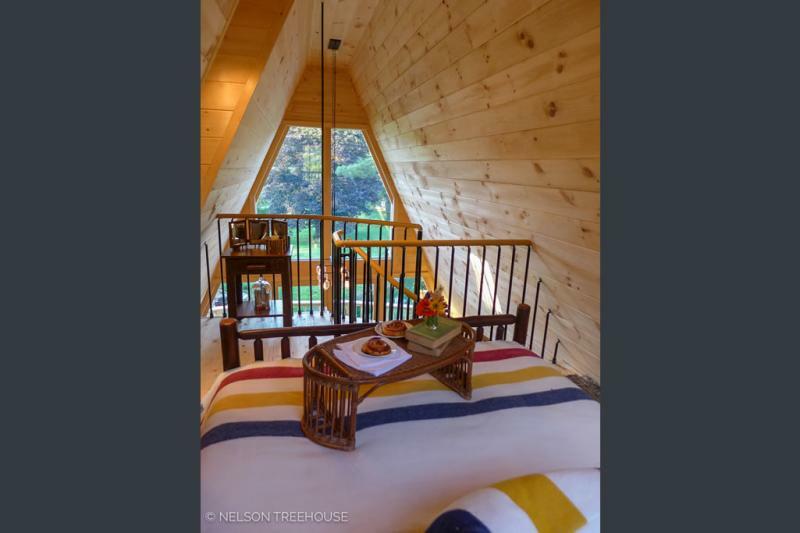 Guests do not even have to leave bed to soak in the treetop views! 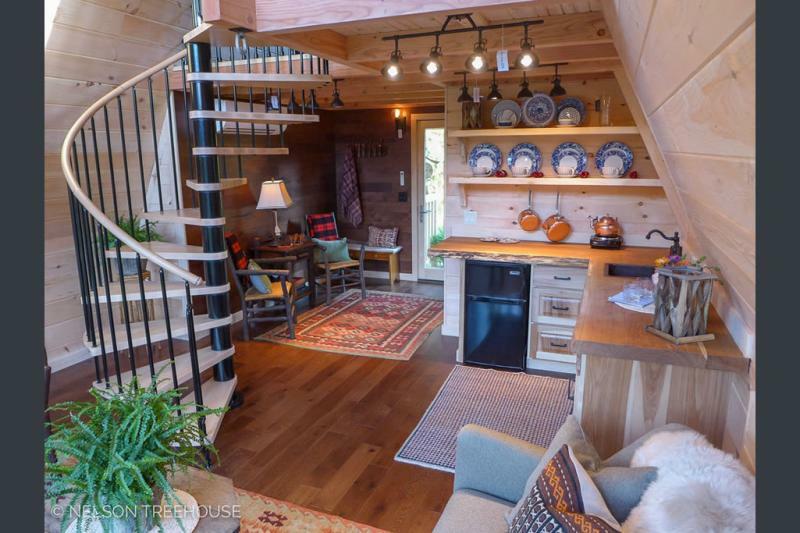 With heating, running water, and electricity, this treehouse retreat is ultra-luxurious. 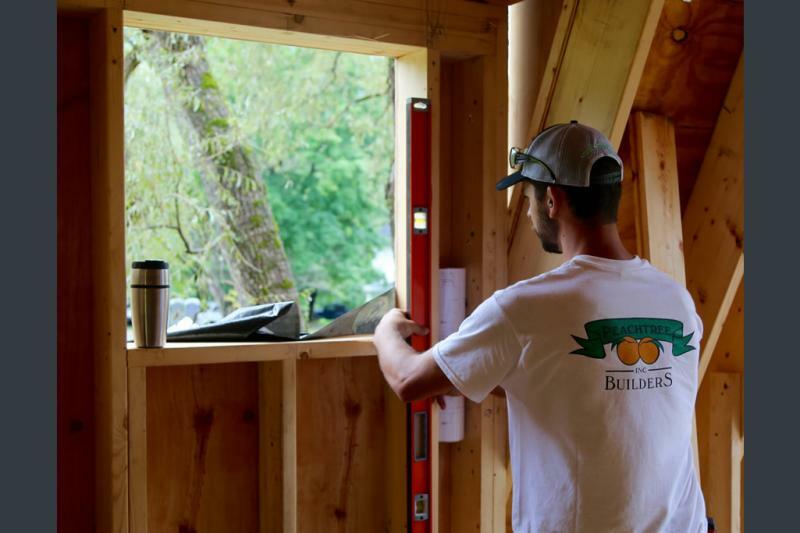 Images and article is used by permission, and full article can be found on the Tree Masters website.